Ever wonder what the Bacardi family drinks when they relax at the end of a long day? If you're willing to pony up, you have the chance to find out. There are four exclusive, aged rums from the family’s private reserve that are commercially available. Named the Facundo Rum Collection in honor of the company’s founder, Don Facundo Bacardi Massó, these limited-edition bottles take aim at the widespread consumer perception that Bacardi rum is best showcased as a component of a daiquiri or Cuba Libre. The four entries in the Facundo Collection succeed brilliantly. Aged between eight and 23 years, each has its own distinctive character. Some are sipping rums, designed to be savored in a snifter in the same manner as Cognac or single malt Scotch, while others work well in classic cocktails. The only light rum in the group is the eight year-old Neo ($45), perfumed with fragrant aromas of sugar cane. Sweet on entry, it displays flavors of molasses and citrus in a spicy middle palate. Smooth and balanced, filtered through charcoal to render it clear again, this is the impossible dream: a white sipping rum. Eximo ($65) which spends ten years in oak barrels, has a complex nose of menthol, molasses and spring flowers. It’s rich, layered and concentrated in the mouth, with the texture and palate persistence of a fine whiskey; the finish is complex and persistent. Enjoy it neat, but don’t hesitate to use it in a memorable Old Fashioned. Things become more serious with the Exquisito ($100), a blend of rums aged from seven to 23 years and finished in Sherry casks. Powerful and spicy on entry, this makes a dramatic statement on the palate; herbal flavors intertwine with intense pepper accents, yet the rum is seamless despite its force. 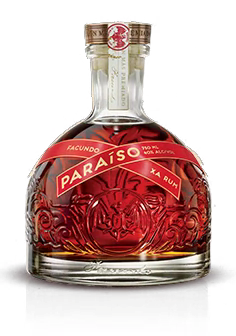 The Facundo Collection is capped by Paraiso ($250), aged from 15 to 23 years and transferred to Cognac barrels before release. It very much resembles a great Cognac: ripe, sweet and concentrated, yet soft and mellow at the same time. The long finish is infused with notes of candied citrus. Limited production means limited distribution, and these rums will not be easy to find. The thrill of hunting them down, however, will be easily outweighed by the joy of drinking them. Some consumers will push back against the idea of paying these prices for rum and mixing it into a cocktail, but remember the first law of mixology: a drink is only as good as its raw ingredients (or, in popular parlance: garbage in, garbage out). 2 parts Facundo Eximo, .25 part honey syrup 4 drops of Burlesque Bittersra, orange peel garnish, ice sphere. Stir. 2 parts Facundo Neo, 1 part Cocchi White Americano, dash of white maraschino, lemon twist. Stir.